Do you have a favorite store in your neighborhood? Maybe it has its own unique atmosphere. And when you enter such a shop, you feel as if you were welcomed into a place that is public yet private at the same time. Sometimes we go there not only to shop, but also to enjoying sound interaction or just to meet someone new, don’t we? 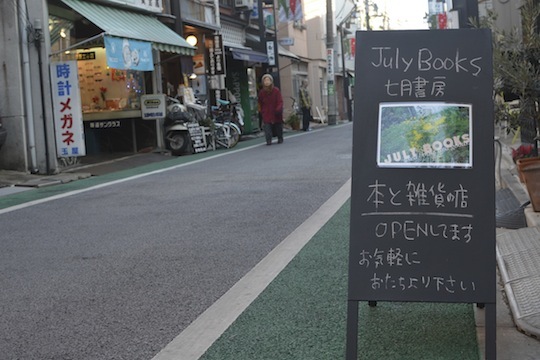 There is a small bookshop named “July Books” in Shimokitazawa, one of the cultural downtown Tokyo. 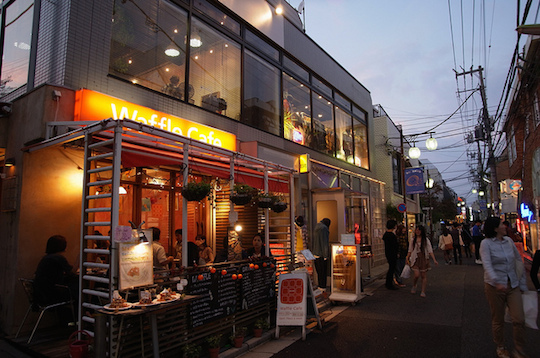 The town is located on the west of Tokyo, and known as a hip and cozy area that often transmits youth culture. The area has many stores which includes secondhand clothes handmade goods, bars, live houses and small theatres within its narrow alleys. One of those attractive shops is July Books. 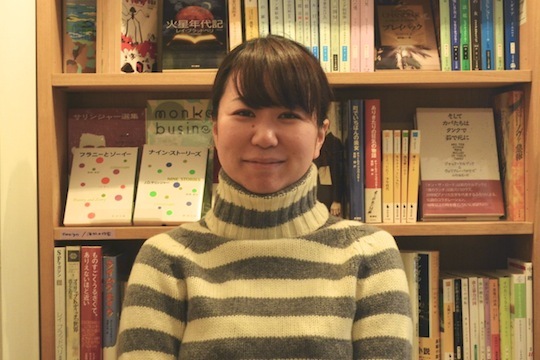 Managed by book lover Noriko Miyashige, July Books is going to celebrate its third anniversary this autumn. 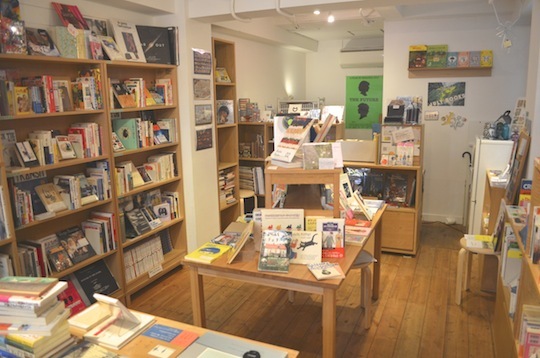 It is a relaxing space that sells old books preferred by Miyashige herself – picture books, comics and travel journals, for example. Though it is not necessarily super convenient like Amazon, it offers a full experience to get acquainted with books the old fashioned analog way by exploring the content between the covers. “Shimokitazawa Ichibangai” a shopping street –There are also many old shops like a mom-and-pop candy store. 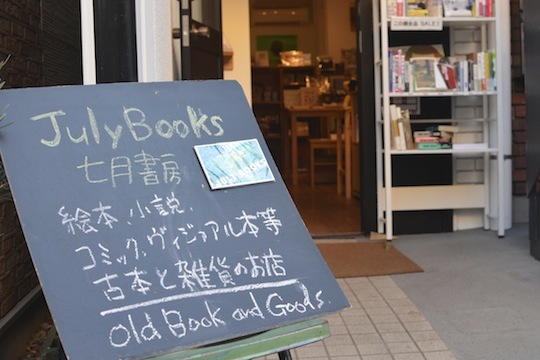 Last year she joined “The First Shimokitazawa Book Summit,” held by local businesses, and had a good time with booksellers from nearby shops. She says that everyone values the close relationship between sellers, although they are competitors in a way. This is one of the charms she pointed out as “close human distance” distinctive of the town. 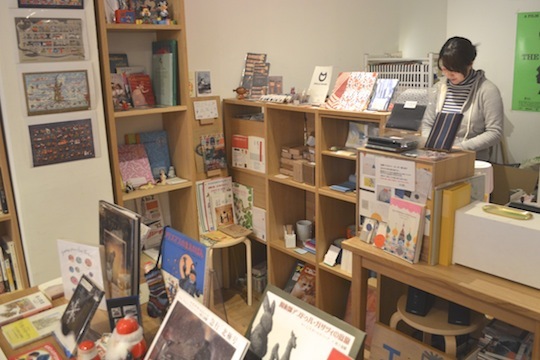 When Miyashige launched her store in November 2011, she imaged it to be stacked with her favorite books. 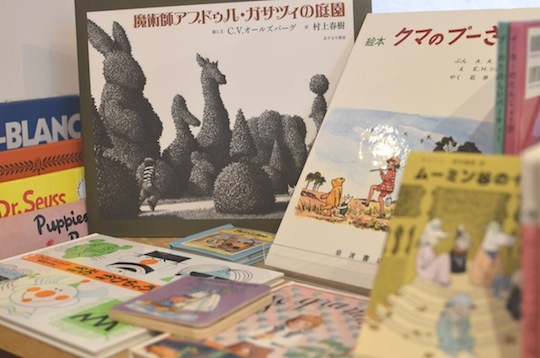 Before opening the store she worked at Tsutaya Tokyo Roppongi and Shibuya Publishing & Booksellers. The experience of working at the big booksellers helped her conceive of her concept for the new store. After the earthquake we realized that there is no telling when the sudden end comes to us even if we have something to do. “This is no good.” I thought. And I decided to try my best to act to realize my dream just as the big companies work hard to fulfill their mission. Everything worked out quicker than expected. 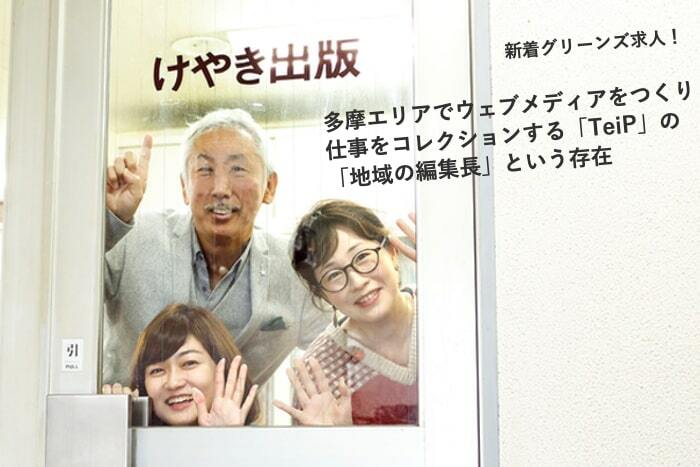 Miyashige easily found a good property in Shimokitazawa within half a year of the earthquake. After all, I had a new realization that Tokyo is the place where I grew up. While people around me talked whether to go or stay in Tokyo, I wanted to remain here. And I chose here because it feels like home. Sometimes it is hard to manage this shop all by myself, but I’m glad especially when visitors find their favorite books in my shop that I stocked with what are also all my favorite books. If customers enjoy the books as much as I do and come back and tell me how they had a great time reading I would be very happy. After I started my store, I always keep it in mind that whenever I visit a local store I will buy more than one thing, or at least I should physically visit store instead of doing my shopping online. Just having someone visit my shop makes me glad even if they don’t buy anything. I also appreciate when visitors buy things that are sold anywhere. Thanks to them I can continue July Books. If everyone were to visit their favorite shops when they have the chance, I think the town would become more pleasant and exciting. 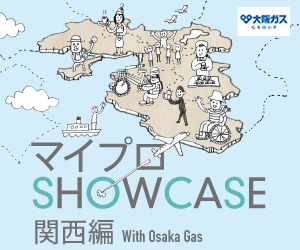 Try to live in your favorite place and to work on what you enjoy, as Miyashige does. If you have an “favorites” and you follow your bliss drastically, you might find in due time what to do and where to do it. And a local business that begins with that spark can also impress other people, and become a hub of an original community for them to spend their tiny happiness in everyday life.